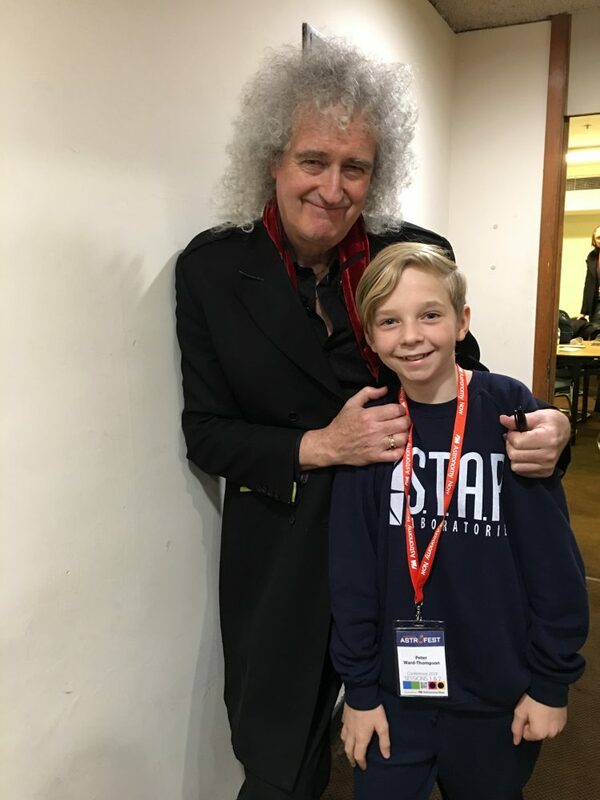 Year 7 student, Peter Ward-Thompson attended Astrofest last week. He really enjoyed the talks he listened to and took lots of notes. Peter finished the day on a high, finally getting to meet Brian May after listening to his Mission Moon 3D talk! Peter will present a short talk to the class in his Science lesson on Wednesday.